Proof that art isn’t dead… Every so often, we find an artist who just blows us away with a totally unique concept that’s sure to be imitated around the world. She paints live models in such a way that when photographed from the right angle, they are nearly indistinguishable from regular, two-dimensional paintings. I think the results are shockingly great. 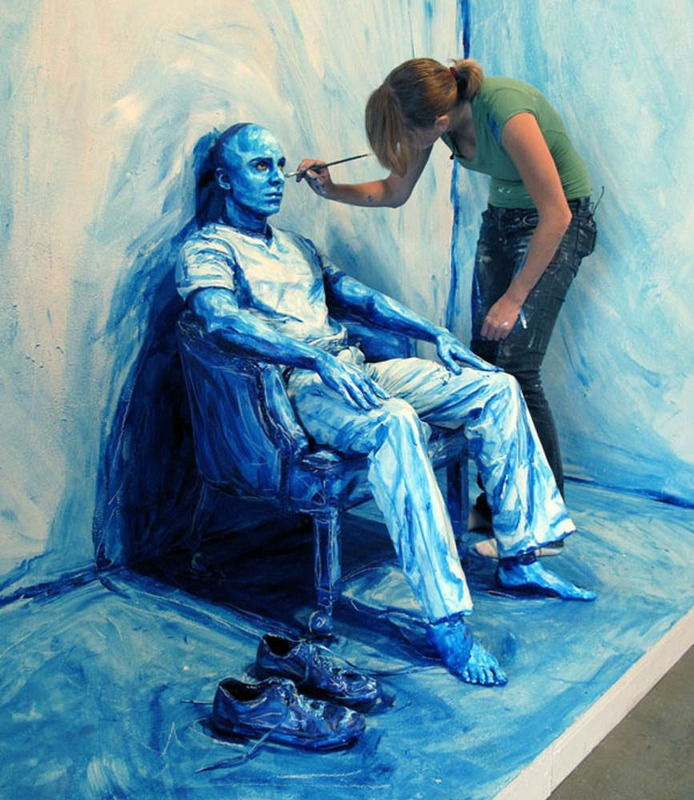 Alexa Meade’s concept is just too great for thousands of art students not to give it a try in their own studios, and who knows, maybe someone else can even take it to a new level?